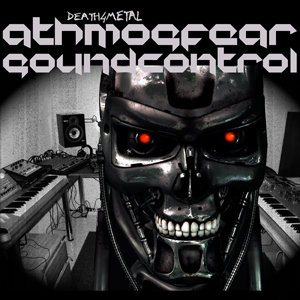 "Athmosfear Soundcontrol is a metal addict cyborg living in Prague, Czech Rep. He mixes hard electronic sounds and rhythms (speedcore/breakcore/hopcore) with metal guitars and vocals. Fear, death, violence, this is the kinda stuff he's talking about. To be a cyborg... or not to be."